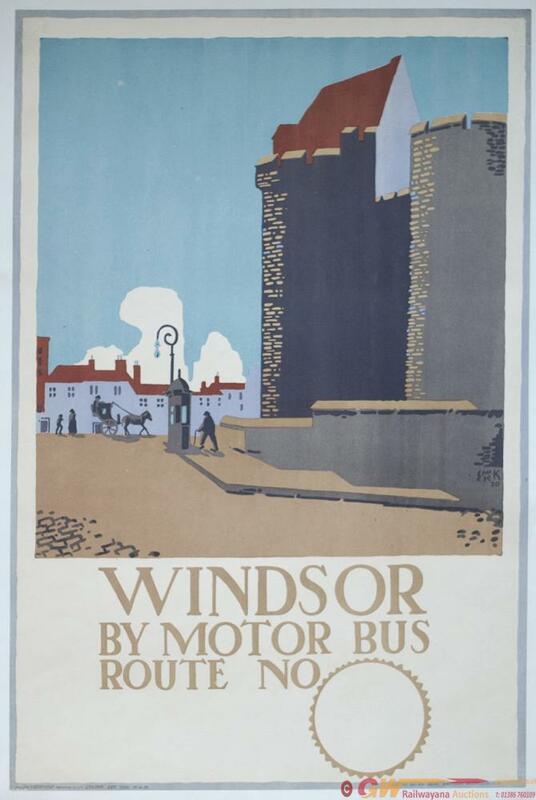 Poster London Electric Railway WINDSOR BY MOTORBUS by EDWARD McKNIGHT KAUFFER circa 1920. Double Crown 30in x 20in. In excellent condition mounted on linen.